I am one of the many people who is a huge fan of your YouTube videos. Your beautiful efficient knitting led me to learn Continental. Now I don't want to knit English! I have found a pattern: Fishnet Lace. The pattern is K4, *yarn forward, knit 2 together* to last 4 stitches, K4. I cannot figure out how to bring the yarn forward and knit two together using Continental. Or maybe I just do not understand the instructions. I would LOVE it if you would post a video of Fishnet Lace. I love the result. I searched your videos and found Birds Eye, so I think for the moment I will knit Birds Eye, as it has a similar final result, but I would love to learn FIshnet Lace. Sunny, all you are doing is making a yarn over. Some patterns use 'yarn forward' instead of yarn over; I believe that is usually used in British patterns to differentiate when a yarn over is being made before a knit or purl. You might also see it as 'yarn around needle'. Basically, if there is supposed to be a hole there, make a yarn over regardless of the term used. 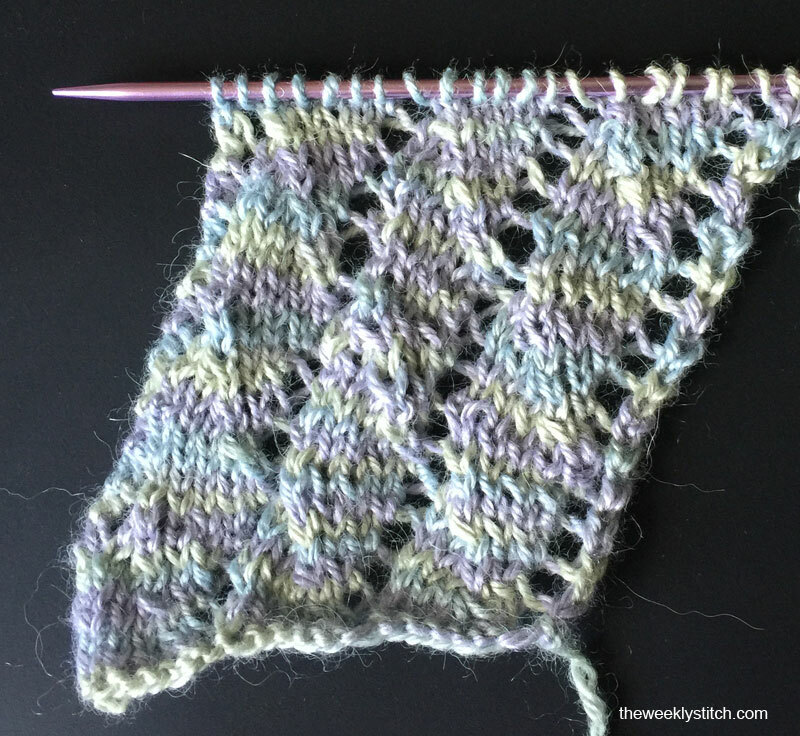 If you see strands across the front of the pattern though, you are usually bringing the yarn forward and holding it in front while stitches are slipped. If you wanted to incorporate a raspberry stitch into the center of each diamond, which two rows and in what section of the repeat would you do the stitch?